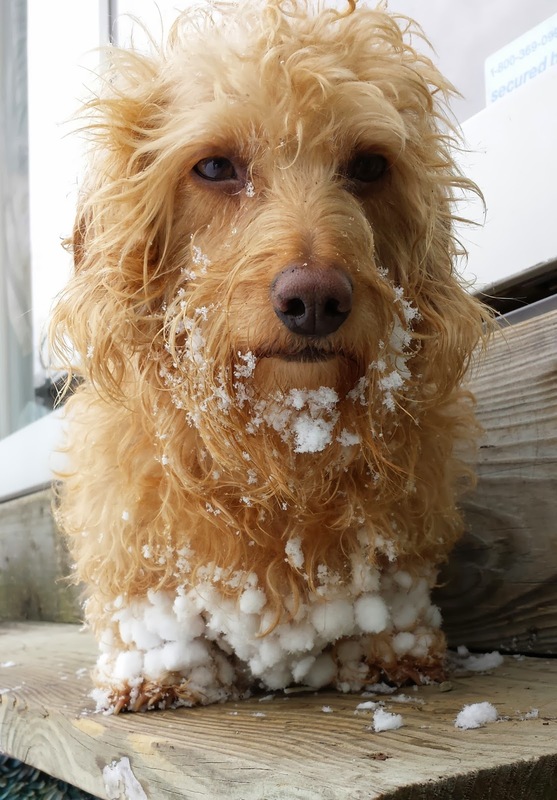 This is what happens when you are a wire haired dachshund and you go out in the snow. Especially that good packing snow. It makes instant snowballs on her under carriage. Then when I want to let her in, I don't want her taking all that in the house with her. I was going to do a little shoveling and I wanted brush the snow off her and let her in. No can do. 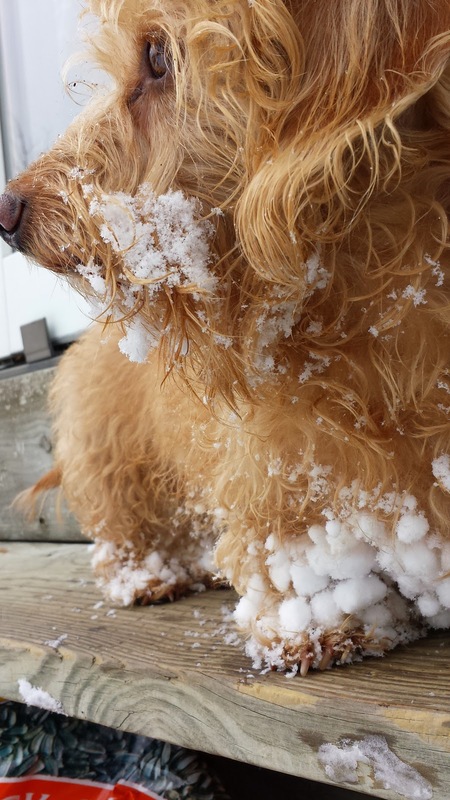 The snow is now incorporated into her curly fur. Try my best to pull it off her, not really doing it either. Did the best I could, let her in. Hopefully she won't go lay on my pillow. 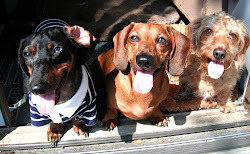 The dachshund snout is a powerful tool, no doubt about that. The other important trait is the determination of those little guys. Never underestimate it. I usually don't, but one gets careless at times. I had to go out to the store, so I took the usual precautions to "dachshund-proof " the house. You know, closing doors to certain rooms, putting garbage cans up that might prove tempting. They never touch them when I'm around, but soon as I leave certain parties can't control themselves. 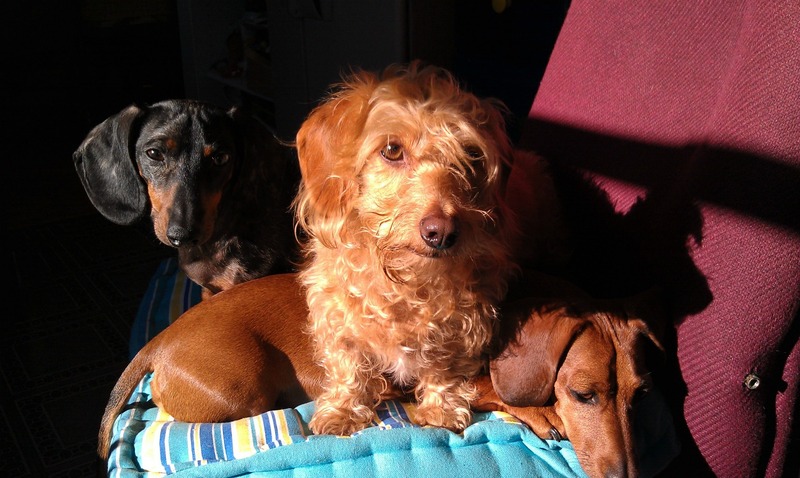 I am their conscience, when I leave, dogs will play. So I left, thinking that all was secure, but I had forgotten about some Christmas cookies which I had left on the dinning room table. Most were in hard plastic containers, except the peanut butter ones were in a bag. OMG! the peanut butter cookies. I might as well have left a steak on the floor. Later on I hadn't realize they were missing until I wanted one, I asked my husband "did you take the peanut butter cookies?" He said he hadn't. He then discovered what was left of the bag the cookies had been in, shredded, not a crumb to be seen. I wasn't mad at them, I shouldn't leave such things on the table, and- very important, a chair pulled out enough for an agile little dog to jump up and pursue his quarry, the elusive chewy peanut butter cookie. Probably about 20 of them. What I really wish is that I had set up a camera to record the event. Who's idea was this? 3 out of the 4 dogs could jump up, although Spaatz is by far the best jumper. Then what happened? Was it a free for all? Did Peaches get any? She's not able to jump up like the others. Oh, to be a fly on the wall. 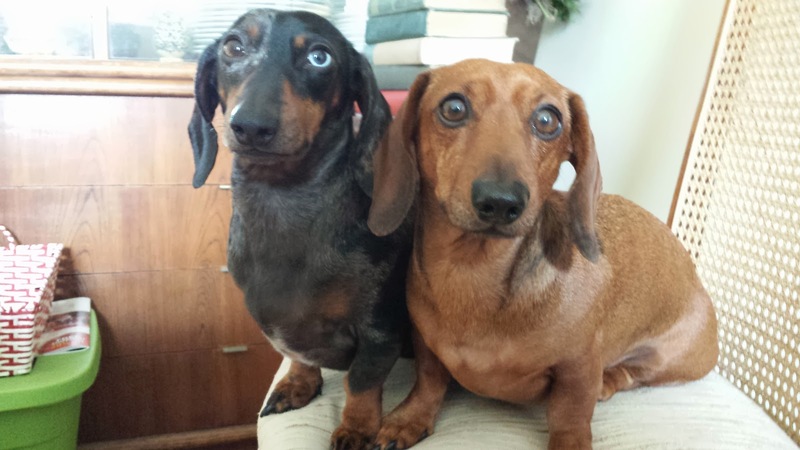 Did you ever see such innocent looking dogs?